What a fantastic day we had at the Downton Cuckoo Fair! 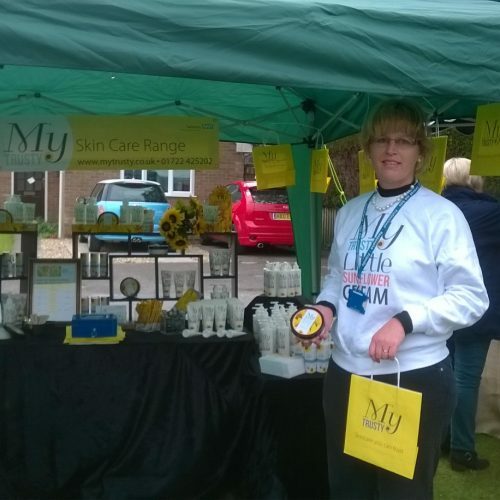 It was great to meet lots of new customers and spread the word about My Trusty skincare. Downton Cuckoo Fair is a large community fair, attracting up to 20,000 people from all over the country. 250 stalls food and rural craft stalls and demonstrations flank the main high street, supported by a small fairground and an eclectic mix of entertainment for all ages. A perfect event for the My Trusty Team to showcase its products, as it’s just around the corner from Salisbury NHS Foundation Trust – SP2 8BJ.